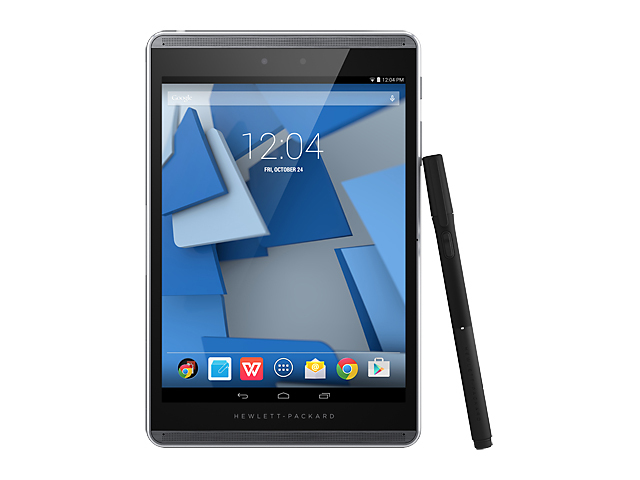 The HP Pro Slate 8 is not just your typical tablet as it boasts functionality that enhances business usage. 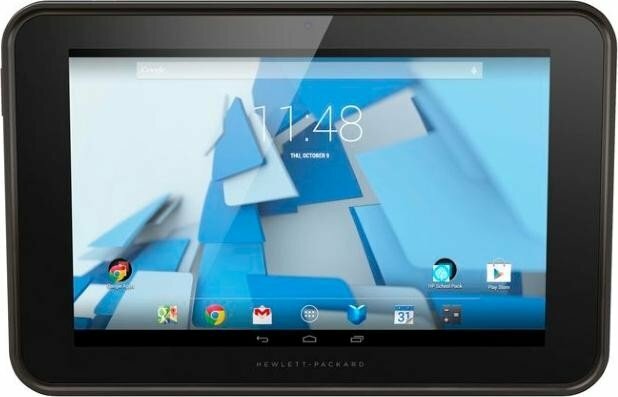 The device is placed under durability tests and implements data protection through the HP Touchpoint Manager, which provides business-class hardware security. 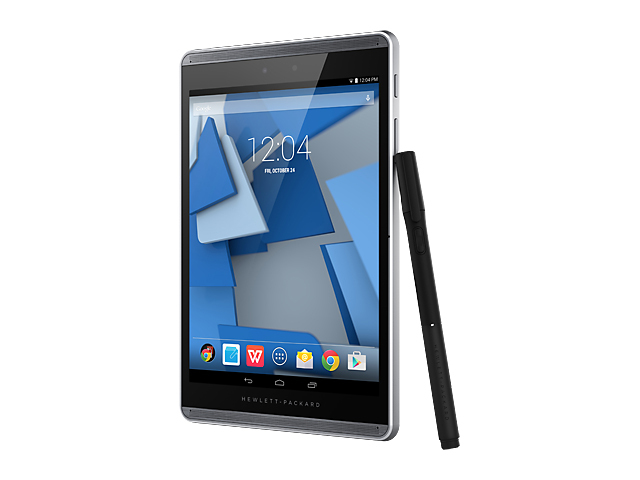 The HP Pro Slate 8 comes with a 4:3 aspect ratio; delivering a more natural reading position. Outward appearance is kept classy with a black bezel around the screen, curved edges and a simplistic grey rear cover. 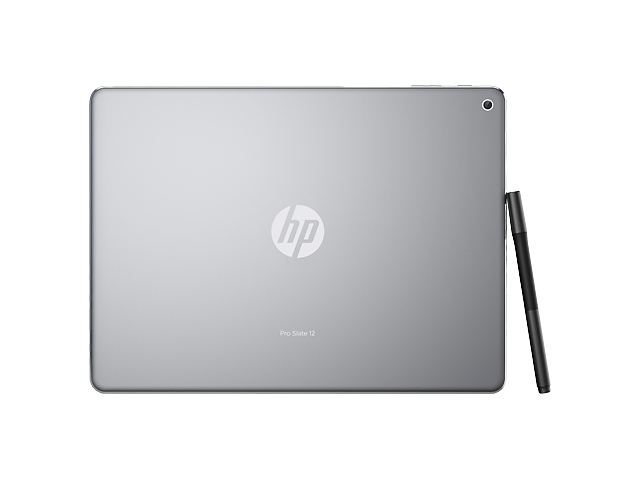 The device comes with a high-fidelity HP Duet Pen further expanding the handwritten feature. There is a 7.9 inch FHD QXGA display panel protected with Corning Gorilla Glass 4. Colors and clarity are top notch even in bright environments. 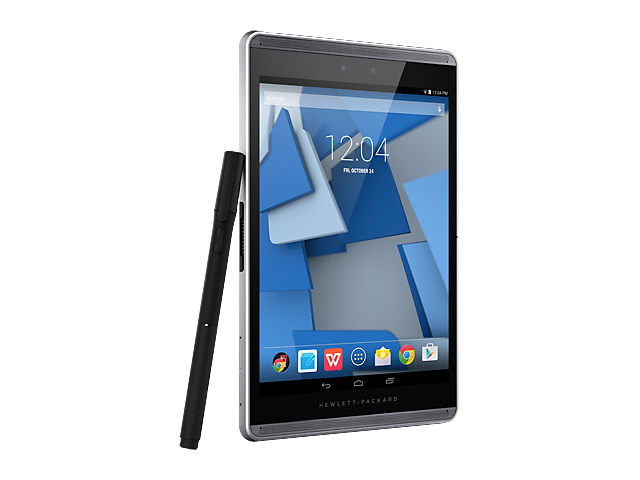 Image capture on the HP Pro Slate 8 comes in the form of an 8 MP rear-facing camera and a 2 MP FHD front-facing shooter. 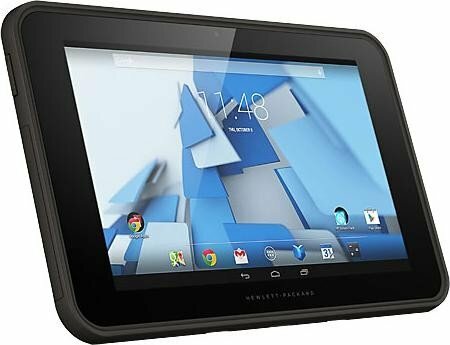 The 350 g tablet is also equipped with a Qualcomm Snapdragon 800 quad-core processor clocked at 2.3 GHz, 2 GB LPDDR3-1600 SDRAM and either 16 GB or 32GB internal storage. Other capabilities include microSD support, ZIF connector with pogo pins, microUSB 2.0, GPS, Bluetooth 4.0 and NFC. 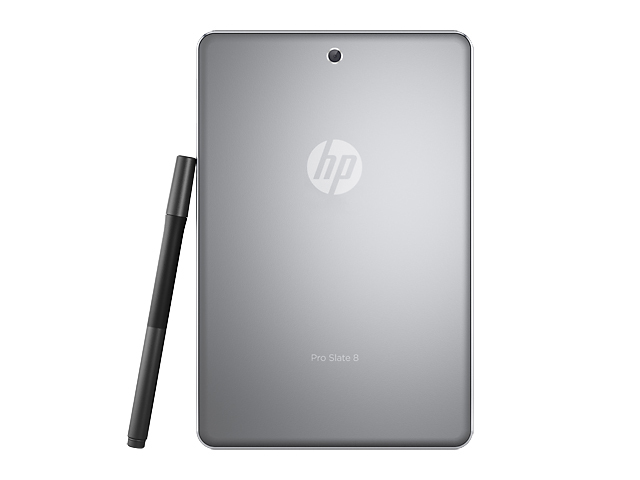 Battery life on the HP Pro Slate 8 is excellent with up to 13 hours of run time provided by the 21 Wh Li-Ion Polymer cell. 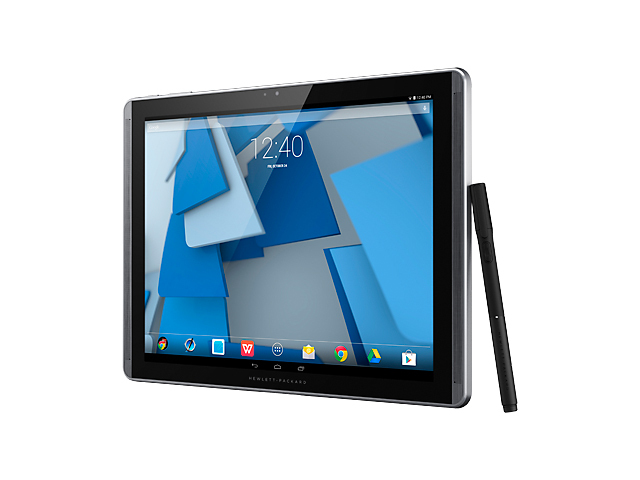 The HP Pro Slate 10 EE G1 model is manufactured to be an education-focused tablet, which is meant to support your school works with Windows 8.1, Intel Atom Z3735G processor, 802.11 a/b/g/n Wi-Fi, and Bluetooth 4.0. It comes with a 10.1 inch IPS LCD capacitive multi-touch screen with a resolution of 800 x 1280 display and 1-2 GB of RAM. Besides, its size is 280 x 182 x 14.4 mm and it weighs 855 g. All the components are ideal for consumers in the education field. 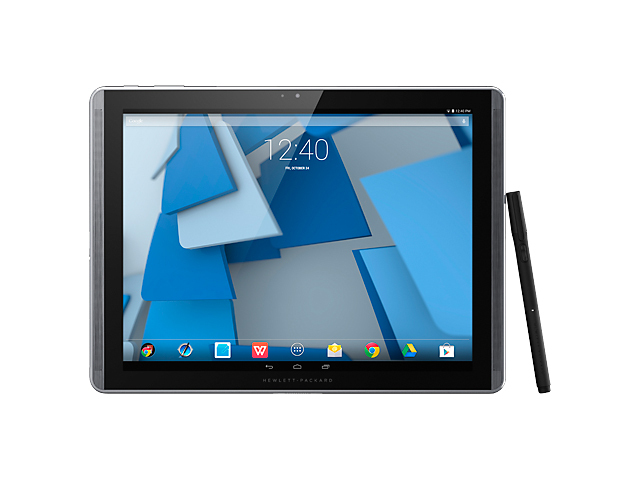 Adding on that it also runs Google's Android 4.4 KitKat operating system, it is a suitable purchase for the students or educational institutions which use Android software packages. Accelerometer and e-compass is available in the tablet, too. Moreover, HP has launched some educational packages, such as HP Services for Schools, HP School Pack, and HP Classroom Manager. 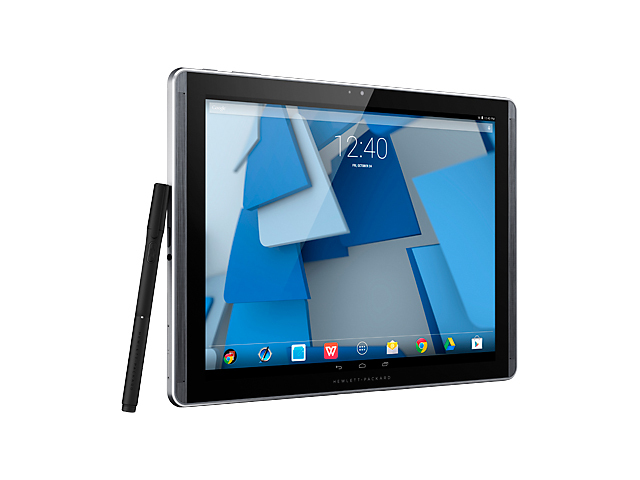 It is definitely not only a pure tablet with digitizer pen support. Surprisingly, it is a sleek 2-in-1 device, which can occasionally be switched into a traditional laptop form. Users can opt to attach the optional stylus or hard-wired keyboard base for easier and convenient typing experience. 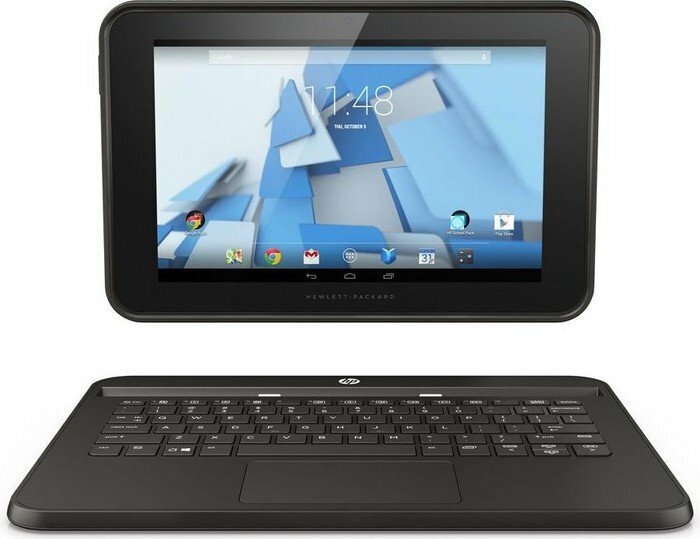 Overall, the HP ProSlate 10 EE G1 is reasonably affordable and durable for a student or teacher. Z3735F: SoC with an integrated quad-core Atom processor clocked up to 1.83 GHz, an Intel HD Graphics GPU and a single channel DDR3L-RS-1333 memory controller. 72.13%: This rating is bad. Most notebooks are better rated. This is not a recommendation for purchase.» Further information can be found in our Notebook Purchase Guide.